Nashville must hold its special election between May 21 and 25 — two and a half months sooner than anticipated — according to a ruling Tuesday from the Tennessee Supreme Court. The swift decision — just 24 hours after oral arguments in the case — reverses a local court’s decision and will shift the election from early August. 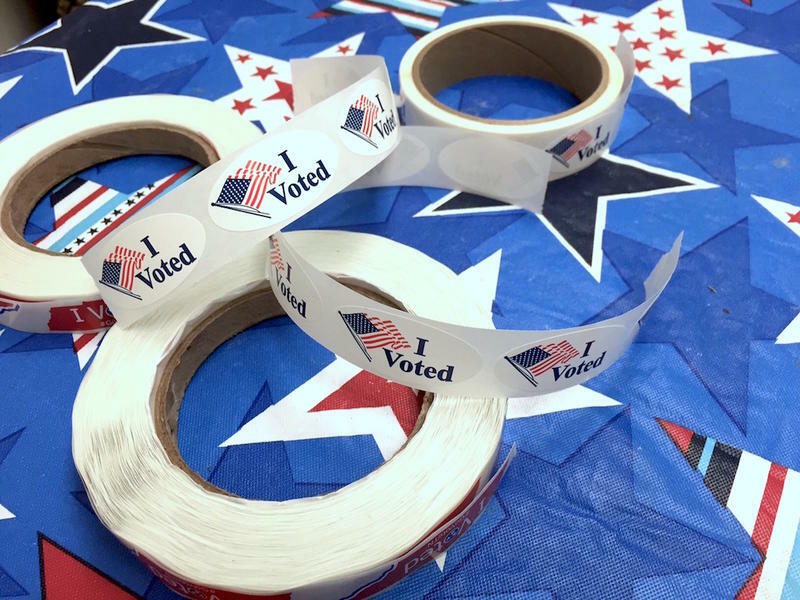 The court said that the Davidson County Election Commissioner can choose a day in the last week of May, just before the Memorial Day holiday. Following the resignation of former Mayor Megan Barry, Metro had argued that the next mayor should be chosen on its upcoming Aug. 2 ballot. But in a unanimous opinion written by Chief Justice Jeff Bivins, the court found the Metro Charter requires a special election in this situation. The court then refers to state law that requires special elections to be held between 75 and 80 days after notification of a vacancy for the position of mayor. The full opinion is online at Wallace v. Metropolitan Government of Nashville and Davidson County, et al. The case was brought by Ludye Wallace, a former Metro Council member who now heads the Nashville chapter of the NAACP. Wallace, who is also running as a candidate for mayor, took issue with the interpretation of the Metro charter by the Metro Legal Department and Davidson County Election Commission, which ruled last month that the election should take place in August. Wallace argued that a longer, more expensive mayoral campaign would hurt candidates like himself. In its decision, the court also pointed out that the Metro Charter stipulates that since the Office of Mayor must be nonpartisan, elections should not be held in conjunction with partisan elections, like those taking place in August. We are grateful that the Tennessee Supreme Court has issued a powerful, persuasive, and unanimous opinion vindicating Mr. Wallace’s claim that the Charter is clear and that Metro Government cannot unilaterally nullify a referendum supported by 83% of voters. In his tweet, attorney Daniel Horwitz is referencing a Metro Charter amendment approved in 2007 that says a vacancy in the Metro Council or mayor's office requires a special election when there's more than a year left in the unexpired term. Mayor Barry had 18 months to go in office. A total of 14 people have qualified to run for mayor, but Tuesday's decision now sets a new qualifying deadline of Thursday. In fighting the special election, the Davidson County Election Commission argued that it would cost $1 million to carry out. Metro attorney Lora Fox also said during oral arguments Monday it would be "physically possible, but very difficult" to pull off a special election in less than two months. Mayor David Briley accepted the decision. "The Supreme Court has ruled, and I'll be ready for the election," he said in a statement. "I appreciate all the support I've already received, and I'm looking forward to a strong campaign over the next six weeks. State Rep. Harold Love, Jr., who is also running, says the compressed timeline will require everyone to narrow their focus. "You have to think clearly about your message you're going to put out there to the people, but I'm up for it. I'm ready," he says. "I think this is a wonderful opportunity for us to get out there and talk about the issues facing our city, and that's important." The same legal justification used to move the mayoral election up could also apply to a vacancy on the Metro Council. District 1 Councilman Nick Leonardo was appointed to an open judgeship in January. But instead of a special election, the Davidson County Election Commission decided to hold a vote in August. Attorney Jamie Hollin, who is representing mayoral candidate Ludye Wallace, says the panel needs to align the District 1 race with the new special election for mayor. "If they don't fix it immediately, we'll be in court again," he said. The Tennessee Supreme Court unanimously sided with Hollin, who is representing mayoral candidate Ludye Wallace. They point to a 2007 amendment to the Metro Charter, which requires a special election if there's more than a year left in the term.